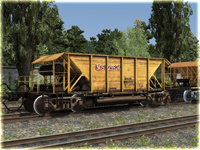 Hopper-feeder CNII-DVZ in four liveries. Hopper-feeder CNII-DVZ in two liveries. 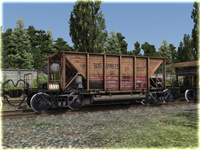 For correct work required Shunter TEM2: pack #1. This is an updated version 1.1. Before installing recommended to uninstall the old version using the Package Manager.